Why did nothing happen after I pasted a link? Why is my Pack-connected doc being slow? When does Pack data refresh? What if I don't see the Pack I want? 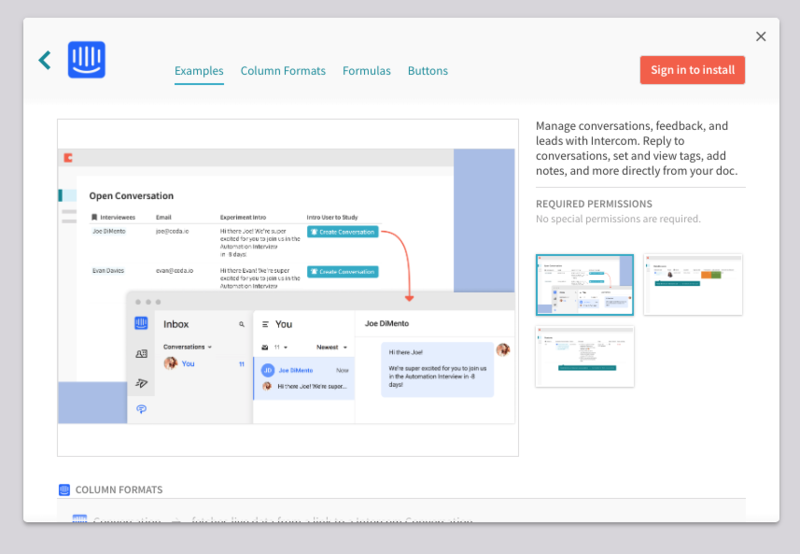 Packs allow you to connect Coda and the other apps you use to get your job done, making your Coda docs even more customized to how you and your team work together. Let's see what this looks like in practice. 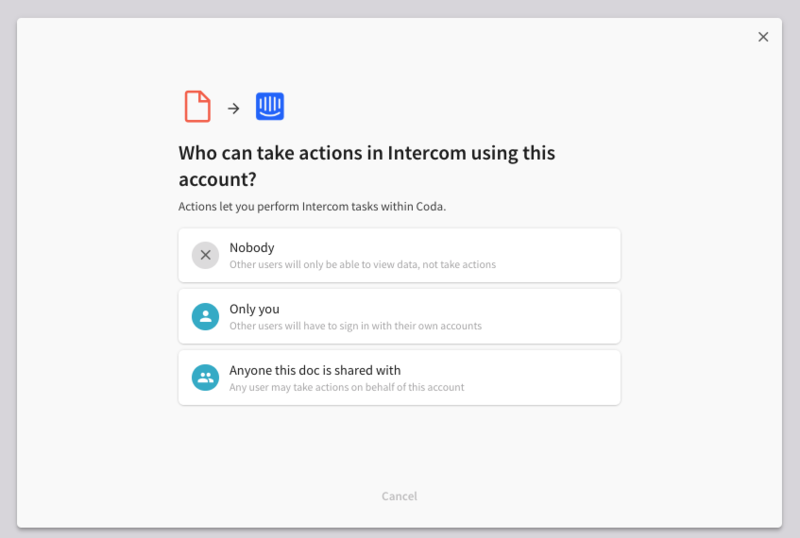 Nobody - You'll choose this option if you never want anyone else in the doc to take actions in the connected app. 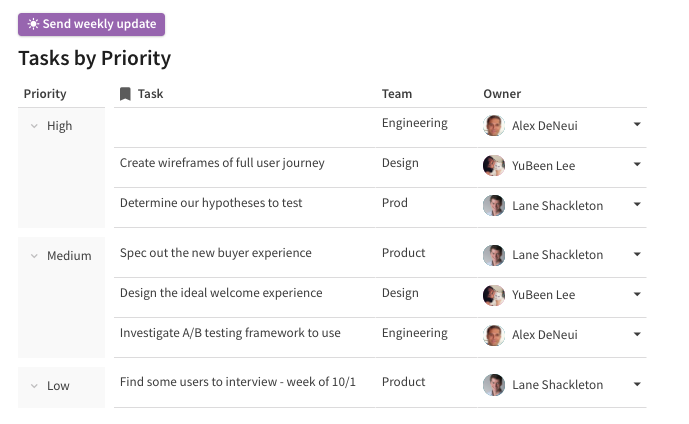 For example, you want everyone to view Github pull requests in your project tracker, but not take actions on them. Only you - You'll choose this option if you are comfortable with people taking action in the connected app, but only using their login. 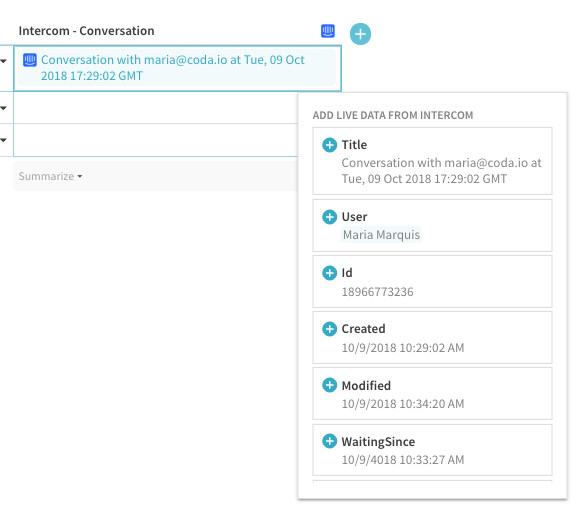 For example, everyone can use their own Intercom accounts to respond to customer questions. 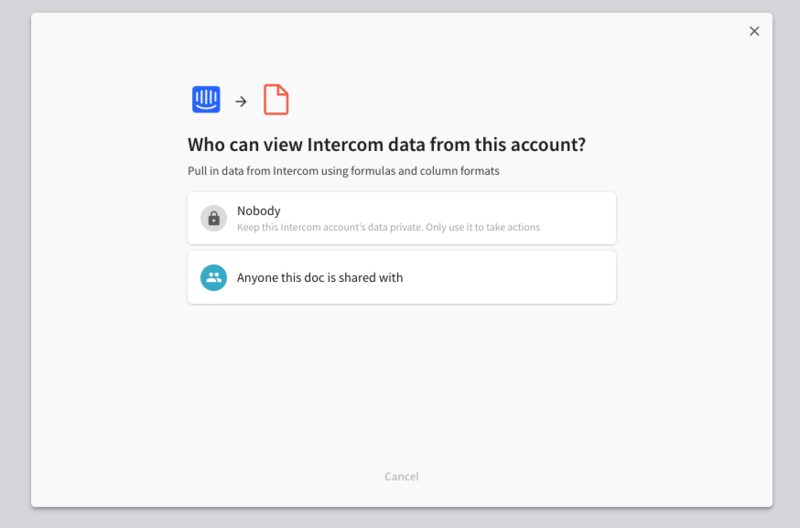 Anyone this doc is shared with - You'll choose this option if you are comfortable with everyone using the same account. This will be the best option for any account that everyone shares - for example a team calendar. Action - "Slack: Post Message"
Action - "GitHub: Merge pull request"
For this example you'll simply add one button to the canvas. Label - "Send weekly update"
There are a few things to check if this happens. 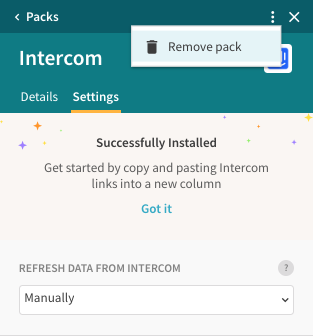 First, check that your Pack is installed and your connection is working by clicking the Packs icon and clicking the Pack that you're troubleshooting. Next, try pasting the link into a new column. 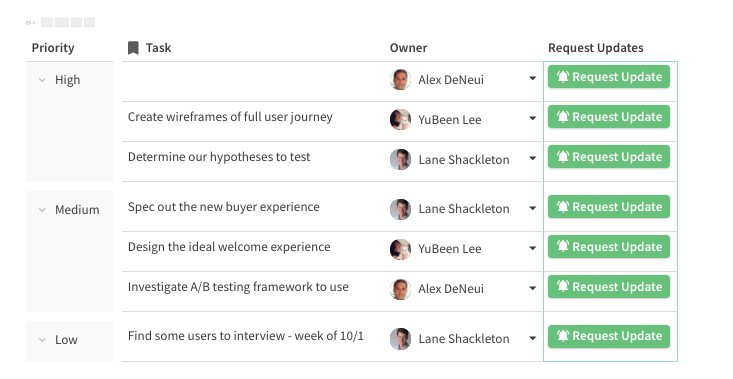 The column format associated with that link will be shown in the column header. When pasting into an existing column the link should reference data of the same format. For example, the Spotify Pack offers three column formats, Album, Track and Playlist. The Spotify links usually contain a hint as to the format of their referenced data in the URL, e.g. the link https://open.spotify.com/album/... refers to an album and should be pasted into a column of format Album. 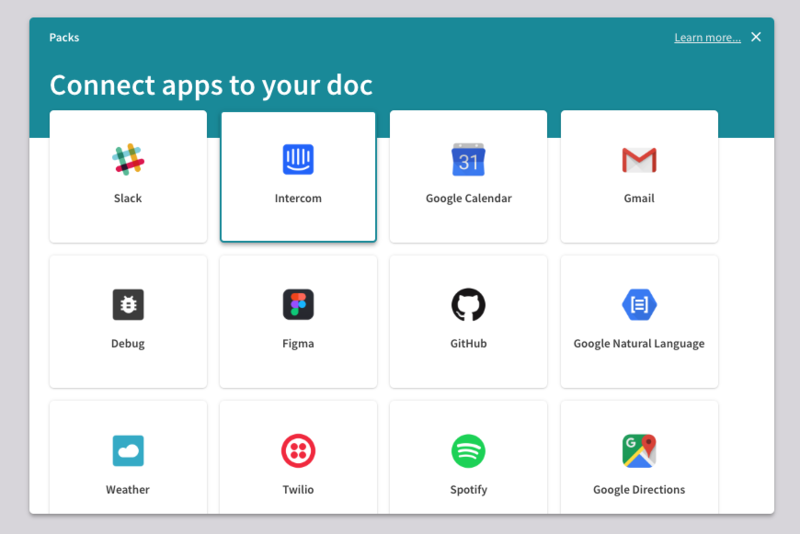 If you're doc has more than 10,000 rows with Pack links, you will see a slowing of performance in your doc. We are always working to increase this threshold. This is up to you. You can choose from Manually, Hourly, or Daily under the Pack's Settings menu. We are always looking for Pack requests! 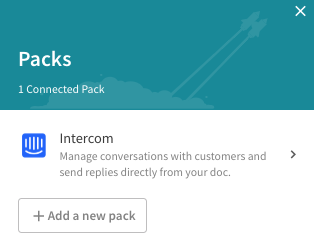 If you have a Pack idea, head to community.coda.io and add your idea to the Suggestion Box section.